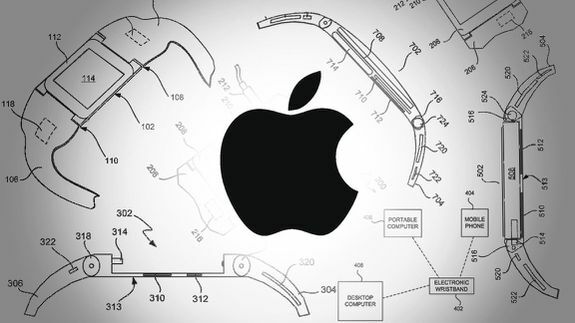 Apple's 'iTime' Patent Hints at Possible iWatch Features - trendistic.com: ever tried. ever failed. no matter. try again. fail again. fail better. A new patent granted to Apple by the U.S. Patent and Trademark Office for a device called “iTime” reveals what we might see in the company’s much-anticipated smartwatch device. Believed to be called the iWatch (but referred to in a picture as “iTime”), Apple has patented a wristband wearable device that supports both arm and wrist gestures and features sensor-filled straps. In theory, this could allow users to answer an incoming call by flicking or shaking their wrist.